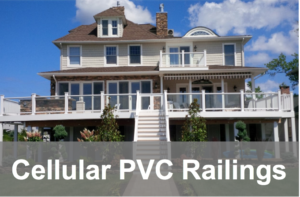 Cellular PVC is the choice of upscale homeowners who want the look of wood to beautify their home and want to avoid the costly and time consuming maintenance that is required of wood rails. 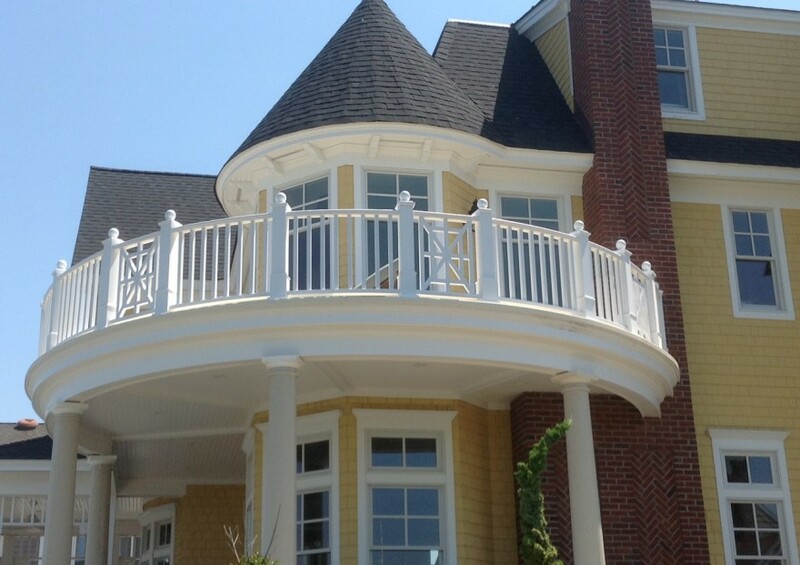 Cellular PVC Railings take your house to the next level with matte finish railings that look and feel like wood. 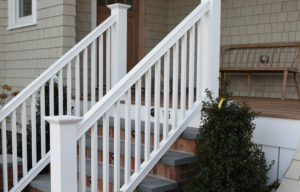 In fact, the cellular PVC works like wood. 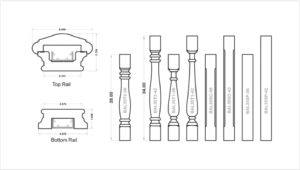 It can be cut, milled and drilled just like wood. 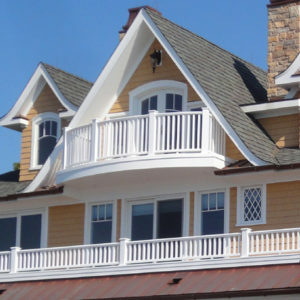 It is a proven material that has been used in the construction for decades. 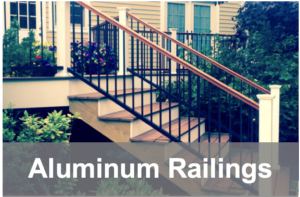 When combined with aluminum extrusion support it provides more structural integrity than vinyl PVC. 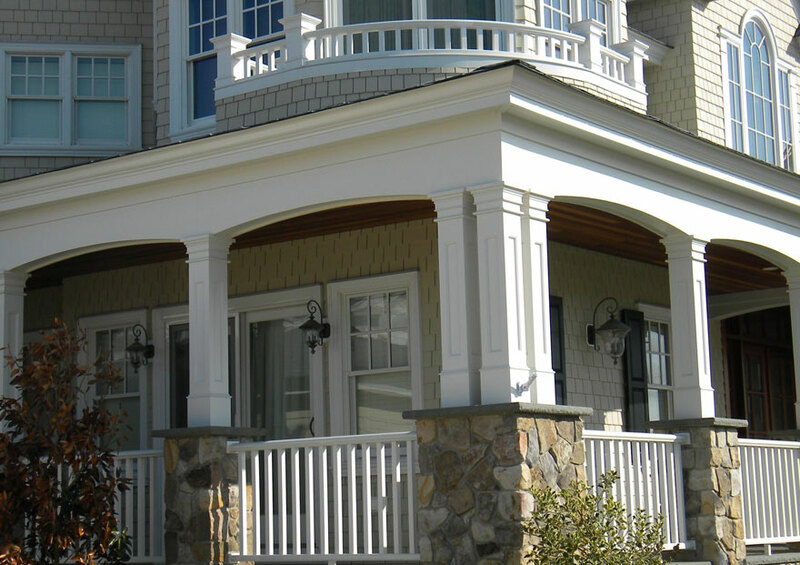 Increases curb appeal with crisp architectural details. 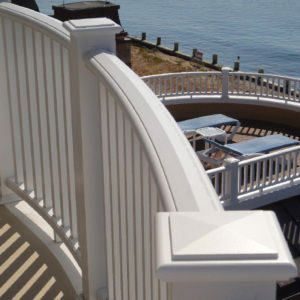 Like vinyl PVC rails, cellular PVC railings offer low maintenance and durability that far surpasses wood because the cellular PVC is impenetrable to moisture, UV resistant and impervious to insects and salt. 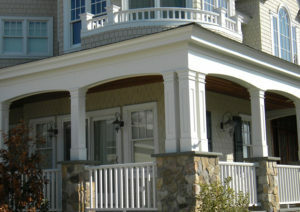 It will not fade, crack, warp, swell or split with changing temperatures. 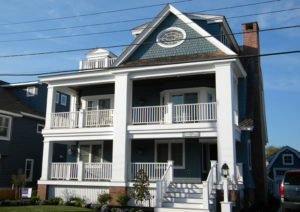 It is the perfect material for upscale homes especially in seaside communities. 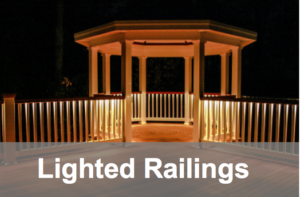 Cellular PVC railings can be painted with colors that have a low light refractive value of greater than 55. The material does not absorb moisture, so the paint creates a super strong bond and will not peel. Paint strokes on the rails make it indistinguishable from painted wood. Cellular PVC is green. It is not a wood product so no trees are cut down to produce it and the material used has virtually no environmental impact. 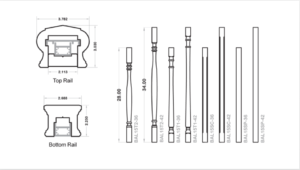 A unique routed rail system with a graspable option. 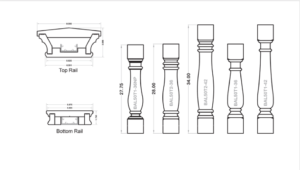 Liberty rails are pre-routed, which decreases installation time and labor cost. 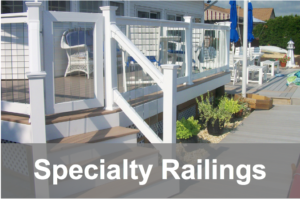 The Hampton Extruded Rail System is an economical rail solution with performance superior to composite railing. 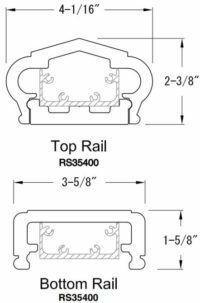 Combines the sleek Hampton rail system with a smaller but stunning Phoenix Mahogany top rail. 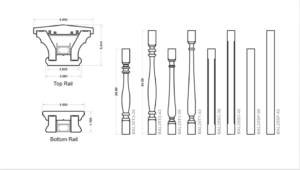 The Dartmouth Extruded Rail System features an elegant profile with modern characteristics. 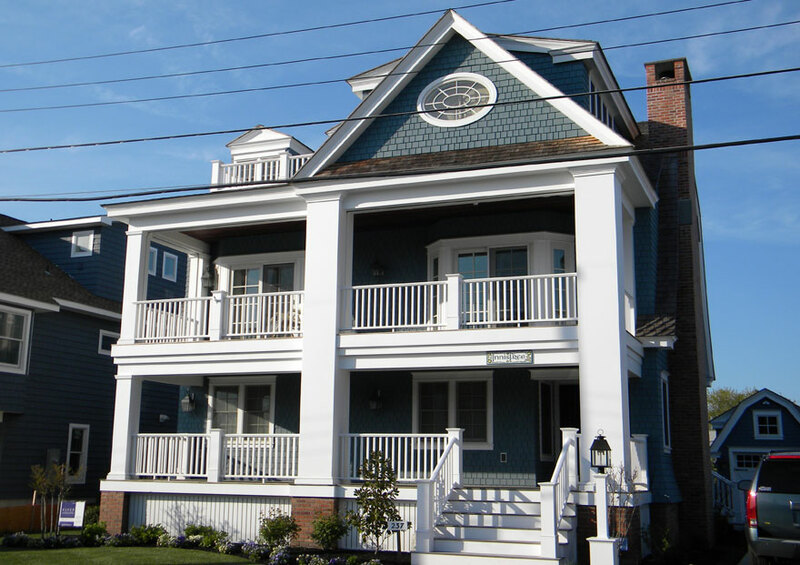 The Dartmouth System is pre-finished and carries a 10-year paint warranty. 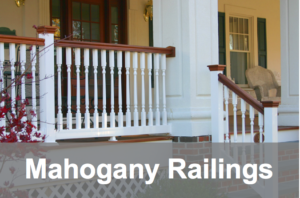 Combines the elegance of the Dartmouth rail system with the beauty and warmth of our traditional Phoenix Mahogany top rail. 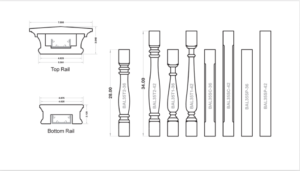 Nautilus rails feature stately old world design and time honored detailing, constructed by true millwork craftsmen. 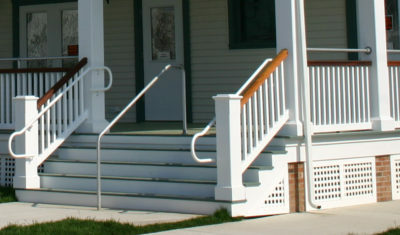 They are traditional upscale high-end rails with multiple options. 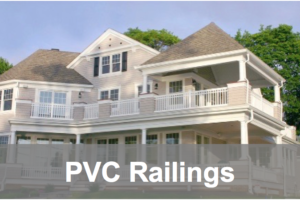 Requires painting with Cellular PVC approved paint since rail is milled.